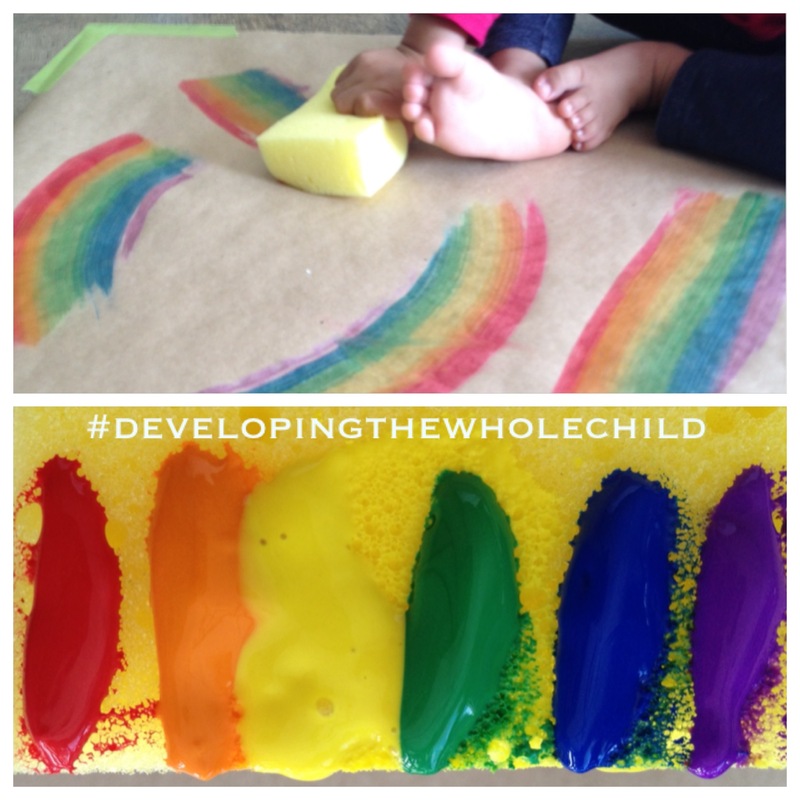 I taped some kraft paper on the ground, handed R a sponge that had rainbow coloured paint stripes on it and let her make some rainbows! Since I didn’t put paint on the entire length of the sponge, R was able to hold the unpainted section and didn’t get paint all over her hands. The paint lasted for about 2-3 strokes and then new paint had to be put on again to keep the fun going. I’d suggest having two sponges with one ready to go while the child plays with the other one, in case the little one gets impatient in between! a. Once the rainbows are painted, have the child create a sky scene by adding details such as clouds, homes, people, and anything else that s/he imagines might live in the sky. b. Scribe the child’s story or have him/her write a story to go along with the picture.